The Best Tampolines for children – We found them online! Can you take eczema creams on a plane? Packing for a family holiday can be hard in itself without the worry about taking all your eczema creams and treatments onboard the plane. Can you take eczema creams on a plane was one of the questions we had to Google ourselves recently when we went on our first family holiday in years. We understand that times have changed and airports have introduced strict guidelines on what you can and can’t take onboard a plane due to security reasons. In this article, we will cover all the essential information and helpful tips you’ll need to enjoy your family holiday and not let eczema spoil your fun. Can I take eczema creams on a plane? There are restrictions on the amount of liquids you can take in your hand luggage. If possible, pack liquids in your hold/carry baggage (luggage that you check in). Most eczema creams are classed as liquids. Contents must fit easily inside the bag so it can be sealed fully. You’re allowed to carry essential medicines ( Eczema Creams ) of more than 100ml in your hand luggage, including liquid dietary foodstuffs and inhalers. This restriction only applies to hand luggage, large tub of cream can be packed in your main luggage. You’ll need supporting documentation from a relevant medical professional (for example a letter from your doctor or a copy of your prescription). The same applies to gel packs. Airport staff might need to open the containers to screen the liquids at the security point. The containers must have the prescription labels on the bottles or tubs and must match the name on the prescription evidence you take from the doctor. It can also help if you have a Doctors letter describing the reason for your son or daughter needing the creams on holiday. Make sure if you don’t have prescription creams and lotions then you need to decant the creams and lotions into clear sealable tubs. Clearly label them with the type of cream inside and who it’s for and date when it was packed. 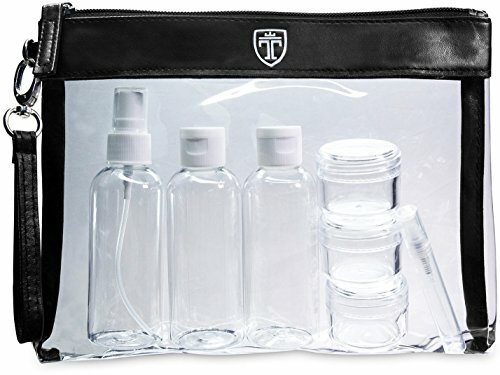 Remember you can only take 100ml bottles in your hand luggage in a 20cm square clear plastic ziplock bag. A maximum of 1 Litre in total can be carried in your hand luggage. We found some great hand luggage on AMAZON at really low prices. The best one which is the one we purchased is the Ciao Carry on bag. Should your eczema routine change on holiday? Warm climates are good for eczema as long as you take precautions to protect your skin from the sun you should be fine. Stick to your normal routine especially with young children and babies, you don’t want to undo all that great work you’ve been doing at home to manage their eczema. 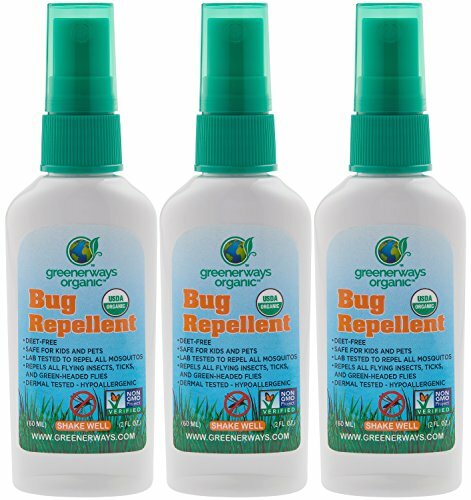 Use an organic bug repellant like ALL NATURAL BUG SPRAY and an Organic sunscreen like TruKid Eczema Sunscreen. These products will provide safe and natural protection which won’t irritate their condition. 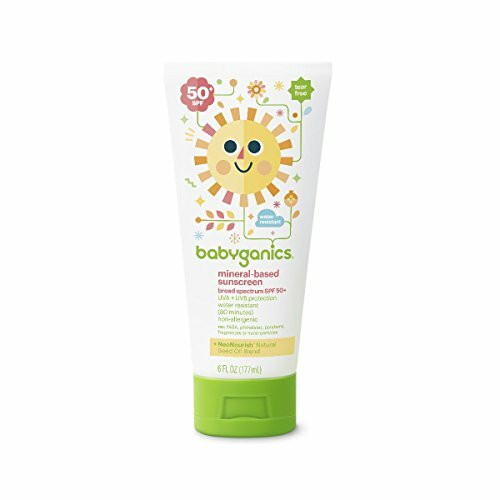 ❀ EASY TO APPLY CREAMY BALM IS GENTLE ON HIGHLY SENSITIVE SKIN ❀ - Enjoy an organic, GMO-free natural eczema cream that is rich in soothing agents. Our creamy balm formulation is thick and moisturizing, easy to apply, but not overly greasy like typical oil based balms and is the best eczema cream to apply to severely dry, irritated skin and will not burn or sting even the most painful blemishes or open wounds. ❀ MOTHER-APPROVED CHILD AND BABY DIAPER RASH CREAM ❀ - This cloth diaper rash cream is ideal for treating your newborn diaper rash - a natural organic diaper rash cream and toddler eczema cream for kids the whole family will love. ❀ THE PERFECT ECZEMA PSORIASIS CREAM ❀ - If you're looking for a multi-use psoriasis treatment cream that can also provide relief as an all around skin rash cream. 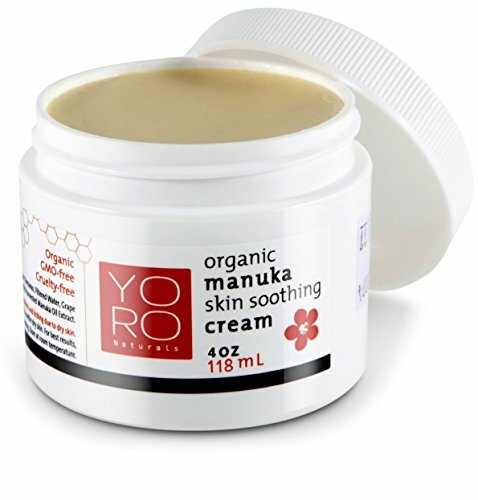 Ideal for use as a 100% organic rosacea cream and as an atopic dermatitis cream as well. An eczema hand cream that can also provide immediate relief on small wounds, minor cuts and burns. ❀ 100% ALL NATURAL ROSACEA TREATMENT CREAM ❀ - Tired of answering the question, "Why are you so red?". Try our rosacea relief cream and put an end to that embarrassing question. If you want the best rosacea cream for reducing spider veins, skin inflammation and restoring your natural skin coloring try our natural rosacea moisturizing cream. ❀ MANUKA HONEY HEALING POWERS ❀ - Recent studies show it's effective when used to treat wounds and skin ulcers and is effective in promoting healing by forming a protective barrier on the skin while guarding against bacteria and infection. Only New Zealand Manuka Honey provides an additional powerful antibacterial compound that is derived from bees pollinating the native Manuka Bush. 【ADJUSTABLE 3 SPEEDS AND LONG DURATION】-The portable fan speed can be adjusted among low, medium, high according to your demands. Battery works 3-13 hours in a full charge. 【PORTABLE AND COMPACT】-Small (3.94x1.58X5.9 inch) and exquisite, easily put into a bag inside. Weight (7.8 ounces), Perfect for outdoor activities and travel, or just place it on the desktop. 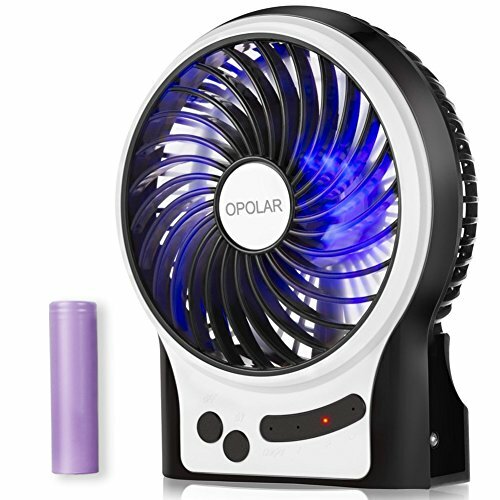 【STRONG WIND】-Thanks to OPOLAR's latest dynamic technology, the maximal fan rotating speed arrives to 3200rpm. More airflow, but less noise. 【USB OR BATTERY OPERATED】- Upgraded 2200mAh rechargeable battery (included) or by being connected with a USB cable (included) even use an adapter to plug into wall socket. 【SIDE AND INTERNAL LED LIGHT, ONE YEAR WARRANTY】- Side and internal light would be a big bonus for lighting. OPOLAR offers one year warranty against defects. Please be assured that we stand behind our product always. UV30+ (Ultraviolet Protection Factor 96%) - solid UV protection tent that will protect you and your kids from sunburn. It is made from high quality 100% polyester, waterproof 300MM, 180T high breathable fabric. It is just a good quality beach tent for babies. POP UP DESIGN: Easy to open and fold back. Campela beach tent you can take everywhere with you. 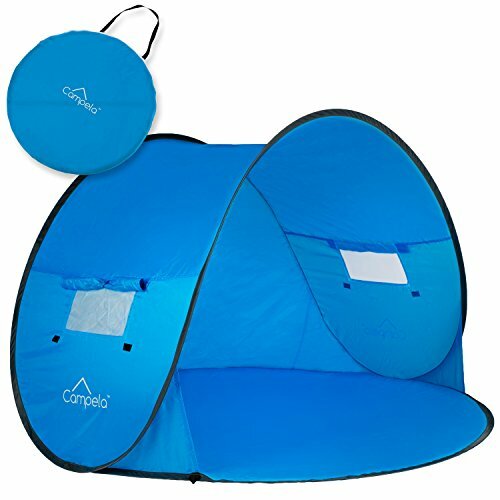 It is lightweight, portable - perfect for a trip to beach or use by kids outdoor as a "play tent for kids"
PERFECT VENTILATION: Thanks to the two windows at the side of the tent, Campela beach tent posses a unique ventilation feature. Due to the ventilation windows you can feel sea pacific breeze in the same time you are protected from sun and wind. 100% SATISFACTION GUARANTEE AND MONEY REFUND: If you are not satisfied with purchase just ask for refund and you can send the baby umbrella back to us with no obligation and money back guarantee. Family vacations and sleepovers just got even more fun with Trunki, "Luggage For Little People"! 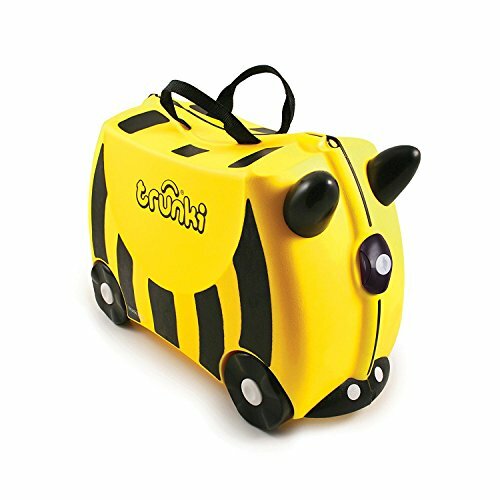 Trunki fits within standard 20 x 18 x 10 inches dimension requirements of scheduled, charter and low cost airlines. With it's spacious 14.75 gallon capacity, Trunki has plenty of room to pack it full of your child's toys, games, books and spare clothes needed on vacation. At home Trunki encourages pretend play and doubles as a toy trunk, seat and place to keep all your special stuff. Fun features include: Carry handles, Horn grips to steer your Trunki, Comfy saddle, Soft rubber trim to protect little fingers, Lightweight durable plastic, Internal pocket for special treasures, Teddy bear seatbelts (to keep teddy safe), and Tow/shoulder strap with ID key. We hope we have explained the rule and regulations for packing eczema creams to take onboard the plane. If you’re still unsure please refer to your airports website for more details. In the UK click here, and for the US Click here. The restriction at airports will not affect you if the creams and lotions you have are clearly labeled and in the correct size plastic bottles or if prescribed by your Doctor in the original tubs with labels on and a copy of your prescription. So relax, and enjoy your holiday. It starts as soon as you get to the airport. Have fun, send us a postcard!